Being a fan of the online magazine Vice and the Viceland channel on Sky (channel 183), they usually have some decent films and Manga on there. Anyway, It was great honour when Kieran Morris contacted me to talk about our cricket pasta and Entomophagy as part of their food series on their Amuse channel, a premium travel and experiences destination for the global explorer, inspiring the adventurous mind with the world less travelled. We spoke about how I started my love of eating insects, I didn’t know it was called entomophagy at the time, our cricket pasta and where Kric8 and The Ento podcast see this movement going. 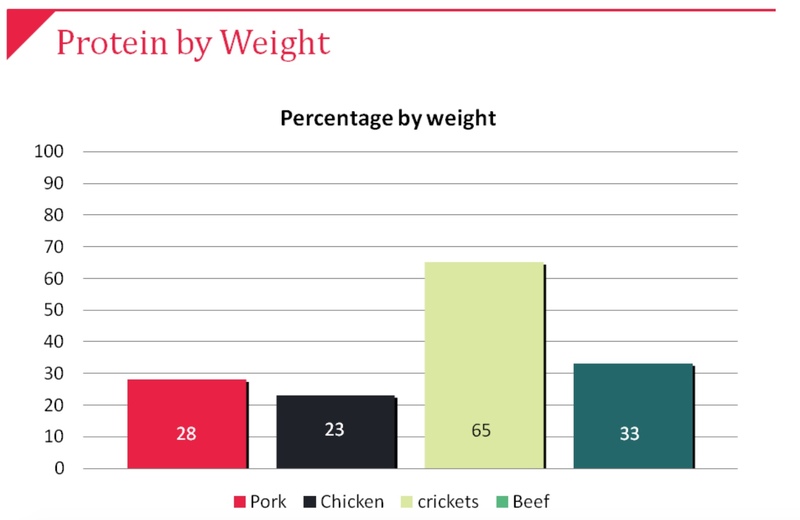 The question “How much protein is in a cricket” is one of the many that I get along with “Why would you eat crickets” and the inevitable “Yuk” when people find out that I include them in at least one of my daily meals. Protein is an essential part of our diets as it a major component of the body’s tissues. Around half of the body’s proteins are found in structural tissues such as skin and muscles. it is therefore essential for growth as our bodies continually renew tissues. Proteins are made up of around 22 amino acids and they combine together in various ways within the body depending on the body’s requirements. Some go towards making muscles, bones, skin and hair while others are used to produce enzymes within the body. Of the 22 amino acids 9 are classified as “essential” for the body. These are phenylalanine, valine, threonine, tryptophan, methionine, leucine, isoleucine, lysine, and histidine and they must come from our diet as they cannot made quickly enough or in sufficient quantities by our own bodies. These are foods that lack one or more of the essential amino acids and are generally derived from plant based sources. However by combining different plant based foods in our diets we can still get the complete amino acids by having, for example, a meal made up of grains with legumes (rice and peas or everyone’s favourite beans on toast). Most adults with limited daily activity should be able to cover their protein needs through a standard healthy diet and the general rule of thumb is .80g of protein per KG of body weight. If you are looking to loose weight there are a lot of High protein diets around with Atkins, Paleo and Dukan being the best known. Adding protein to your diet helps in weight loss as it slows down the digestion process in turn making you feel fuller for longer and when eaten with carb rich foods also helps slow down the absorption of sugar into the bloodstream. So instead of snacking on high carb “treats” why not try some of our Honey & mustard crickets or a handful of nuts. Remember that eating more protein alone can also have its own issues like overeating any food. The body cannot store surplus protein and in some cases too much protein and could cause kidney issues if excess protein is consumed over a long period. 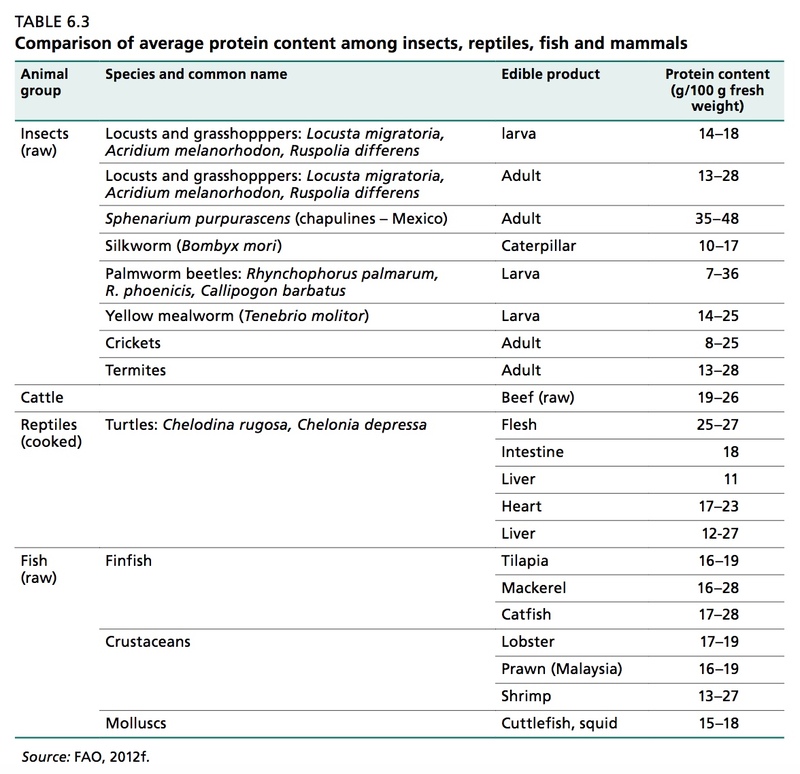 The protein content of insects varies depending on the species and it can even be different between sub species and like most things diet and environment are among the contributing factors effecting this. In the table below you can see the protein content in 100g of cricket powder compared to the same 100g of different protein sources. So before ruling crickets completely out of your diet why not try one of our sample sized Kric8 cricket protein powder packs? These 15g pouches contain enough cricket powder for a batch of cookies, muffins or if used in a smoothie it will add around 9g of protein the same as an egg. 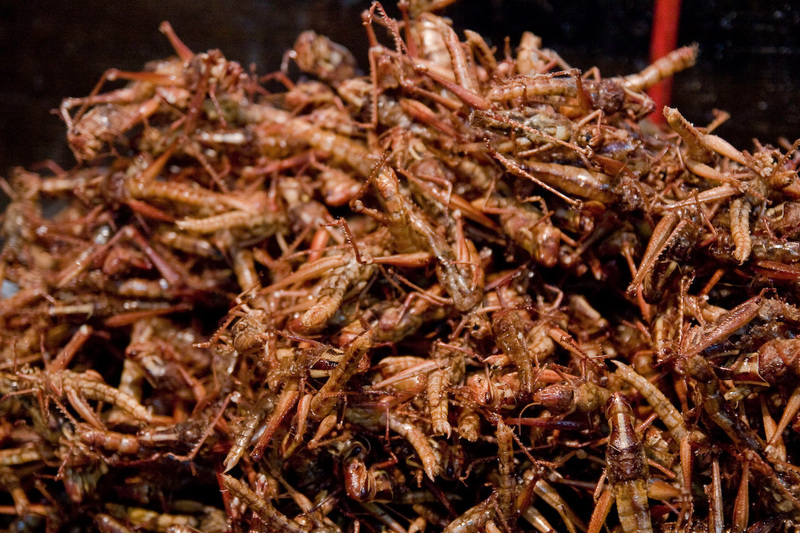 In the second part of our series we look at the types of crickets commonly used in Entomophagy. There are 2 types of crickets most commonly used in the food industry, The House Cricket Acheta Domesticus from the order Orthoptera & the Banded Cricket Gryllodes sigillatus from the family Gryllidae. Lets cover the House Cricket Acheta Domesticus from the order Orthoptera derives its name from two Greek words Ortho meaning straight and ptera meaning wing and covers more than 25,000 species around the world although the majority can be found around the tropics and included Locust, grasshoppers and crickets. The House cricket is around 15-21 millimetres in length brownish in colour. Second is the Banded Cricket Gryllodes sigillatus also known as Tropical house cricket, Indian house cricket from the family Gryllidae. The Tropical house cricket being slightly small at around 13-18 millimetres in length and a light yellowy brown. They get their name from the 2 black bands that they have on their bodies, One through their thorax and another across their abdomen. It is the males in the species that make the chirping or stridulation sounds by rubbing the upper part of one wing against the lower part of the other or by rubbing the hind leg against the front wing that the males are able to call out to the females. They are both farmed in in southern Asia as food for both Human and and animal although due to its flavour profile the House cricket is the preferred choice for protein powders and snacks with the Banded cricket coming a close second due to its longer life span, it’s resiliency to certain diseases make them hardier than the House cricket and easier to farm. There aren’t many quotes that I remember but I know that Angelina Jolie’s “Start with crickets and a beer” quote will be one that will stay with me. I might even get it created into one of those inspirational photos that I can put on my wall like the the courage pictures in some of the offices I have worked in. Angelina has long been a fan of adding insects to her and her children’s diets but it was during the Cambodian premier promotions for her new film “First they killed my father” that she was filmed by the BBC preparing insects to eat. The Netflix film is based on the 2000 book First They Killed My Father: A Daughter of Cambodia Remembers by Loung Ung and is a personal account of her experiences during Pol Pot’s Khemer Rouge reigme. When the Khmer Rouge entered Phonm Penh in 1975 Ung and her family had to flee their home and in order to survive the family had to split up with Loung becoming a child soldier. During the video Angelina is states how she first tried entomophagy when she first in the country and is shown preparing a tarantula along with some other bugs but when asked how you would get into Entomophagy she replies “Crickets, you start with crickets. Crickets and a beer and then you kind of move up to Tarantulas”. I couldn’t have said it better Angelina, and we hope you are interested in giving crickets a go and we think our Honet and mustard ones are the perfect starting place…as for the beer I prefer a craft ale or a bottle of dog but I won’t hold it against you if your a larger drinker. Think nothing can take the place of a juicy, perfectly cooked burger? 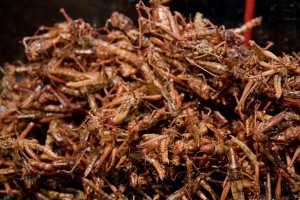 Try a plate of fried grasshoppers. 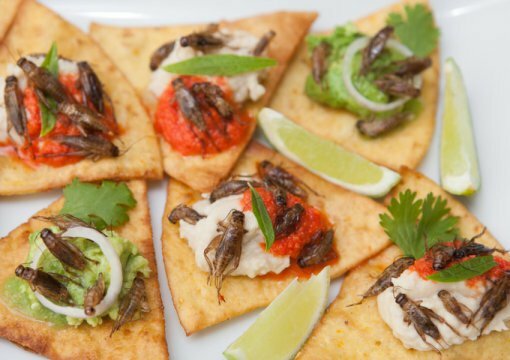 Okay, so they won’t exactly taste the same — and it may be tough to even stomach the thought of munching on bugs. But experts say that nutritionally speaking, they’re a good substitute for beef, and may be a valuable food source of the future. The idea of eating insects isn’t new. 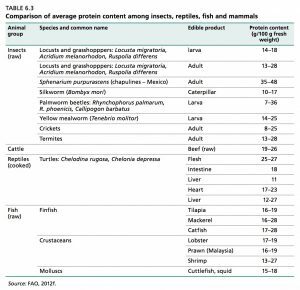 They’ve long been included in traditional diets of cultures around the world, and a 2013 report from the Food and Agriculture Organization of the United Nations noted that more than 1,900 insect species have been documented as food sources globally. Jelly Bean Creative have over 29 years’ experience working with food brands and are an award winning integrated food-service agency who have won awards including: Top 50 B2B Marketing Agency, Recommended Agency Status with RAR, they also have a top 20 ranking in The Drum’s Independent Agency Census 2016 as well as having award winning client work across FPA Marketing Award. To become a sustainable alternative to meat, reared crickets must be fed feeds other than the chicken feed that is most commonly used today. Researchers from the Swedish University of Agricultural Sciences now present a study which shows that there are weeds and agricultural by-products that actually work as single ingredients in feeds for crickets. The study was conducted in Cambodia, where many children suffer from malnutrition and where the need for cheap protein is large. The study was led by Anna Jansson, professor of animal physiology at the Swedish University of Agricultural Sciences. The results have very recently been published in the Journal of Insects as Food and Feed. “Since there are both climate and environmental benefits of eating insects, we believe that this habit will become more common, also in Western countries. What our study shows is that it is possible to rear crickets on feeds that don’t compete with other kinds of food production,” says Anna Jansson. Reared insects are increasingly seen as an environmentally friendly alternative to meat, even by the United Nations. The future food for a growing world population. In the Western world there is a cultural reluctance to eating insects, but also a cautious curiosity, and there is an increasing interest among scientists. In other parts of the world, such as Asia, there is a tradition to eat insects, and some species are regarded as delicacies. Many insects also seem to have a high nutritional value. So far, people mainly catch wild insects, but rearing them is emerging as a way to meet the growing demand. Crickets are prized as food and they also seem to be quite easy to rear. Today crickets are usually reared on chicken feed, and this production has limited environmental benefits compared to chicken production, since crickets and chickens grow equally well on this feed. Also, this feed is too expensive for poor people, and its nutritional value is so high that people could just as well eat it themselves. To be a climate and environmentally smart food, crickets have to be reared on feeds that have little value in other kinds of agricultural production, such as residues or weeds, and they must be cheap enough for poor people. Scientists know that many cricket species can feed on “a little of everything” but very few attempts have been made to rear crickets on residues, and none using weeds. What Anna Jansson and her colleagues now show is that there are weeds and residues that perform as well as chicken feed for the Cambodian field cricket. 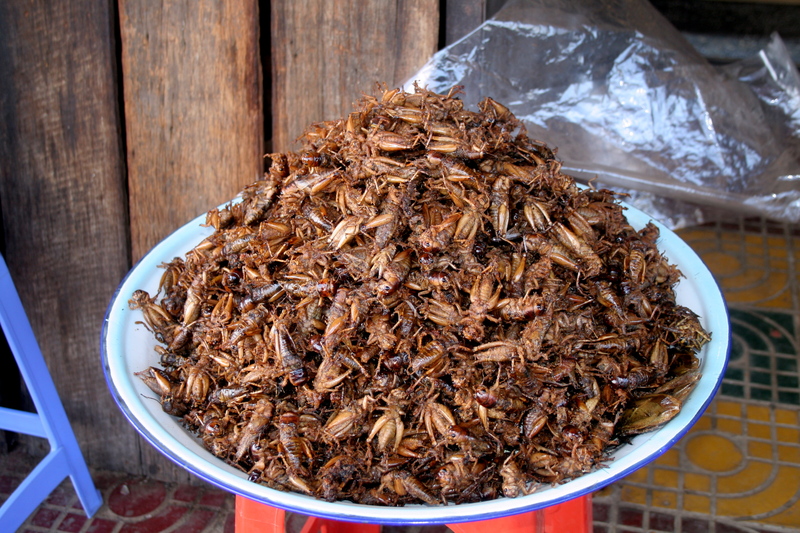 Now their recommendations are passed on to people who want to rear crickets in Cambodia. A number of Cambodian weeds and various residues from agricultural and other food production were tested in the study. Today these commodities are available for free or nearly free, which means that even very poor people would be able to rear crickets, at least to cover their own family’s needs. The best ingredients were cassava tops and the weed Cleome rutidosperma (Fringed Spider Flower or Purple Cleome), both of which could be used as a single ingredient cricket feed. Cambodia is one of the world’s poorest countries. It is estimated that 40 percent of Cambodian children under the age of 5 suffer from malnutrition, which inhibits both their physical and mental development. The Swedish University of Agricultural Sciences has for many years run Sida-funded PhD projects in developing countries, and this project is one example. 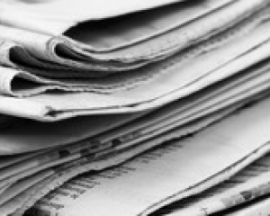 Edible crickets can be reared on weeds and cassava plant tops — ScienceDaily. Feeling hungry? 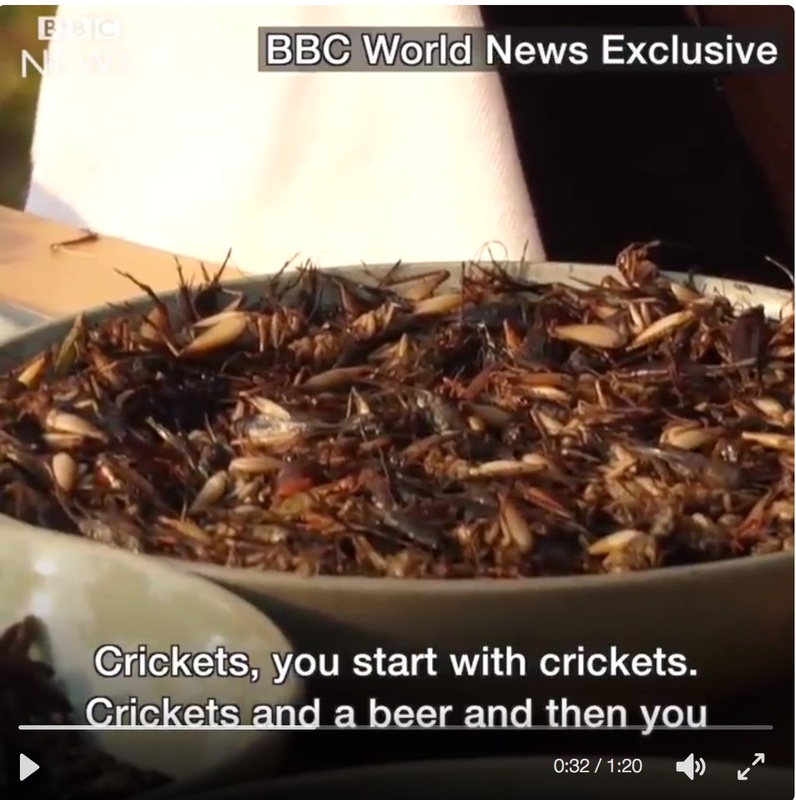 How about some spicy grasshoppers with a side of buffalo worms? The thought of consuming such a meal might turn your stomach, but the practice of eating insects is common across many areas of the globe, largely due to its nutritional benefits. Around 2 billion people across the globe include insects in their diet. According to a 2013 report from the Food and Agriculture Organization (FAO) of the United Nations (UN), around 2 billion people worldwide eat insects as part of a traditional diet – a practice known as entomophagy. Beetles are the most commonly consumed insect, followed by caterpillars, bees, wasps, ants, grasshoppers, locusts, and crickets. All in all, more than 1,900 insect species are considered edible. 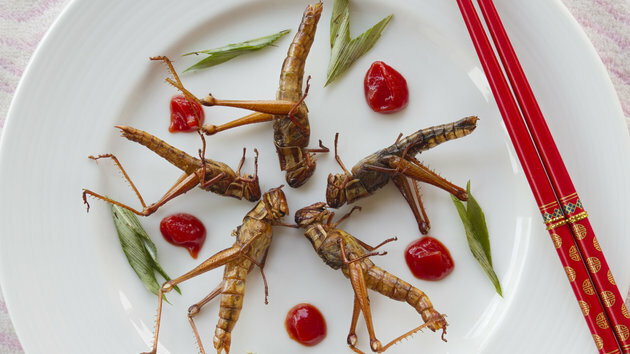 Entomophagy is a common practice in many parts of the world, including China, Africa, Asia, Australia, New Zealand, and some developing regions of Central and South America. The pesky bug we usually think of as the scourge of our bathroom or kitchen floor may actually be a source of a protein more powerful and economical than whey, soy, or nuts combined. We’ve been hearing for a while that eating insects is the future of food, but this is slightly different. A species of Pacific beetle cockroach called the Diploptera Punctata has a unique ability that could make it of great value. The bug, which is native to the tropical Polynesian island forests, is the only known viviparous cockroach. Instead of laying eggs, it gives birth to live young. They also provide their offspring with a liquid full of proteins, fats, and sugars — yup, like humans (I’mma let that sink in real quick). At the Oyamel Cocina Mexicana in Washington, metal butterfly mobiles hang from the ceiling and bugs are on the menu. The chapulines tacos are jammed with thumb-sized roasted grasshoppers, a delicacy head chef Colin King cooks in tequila and chipotle puree and serves with shallots. 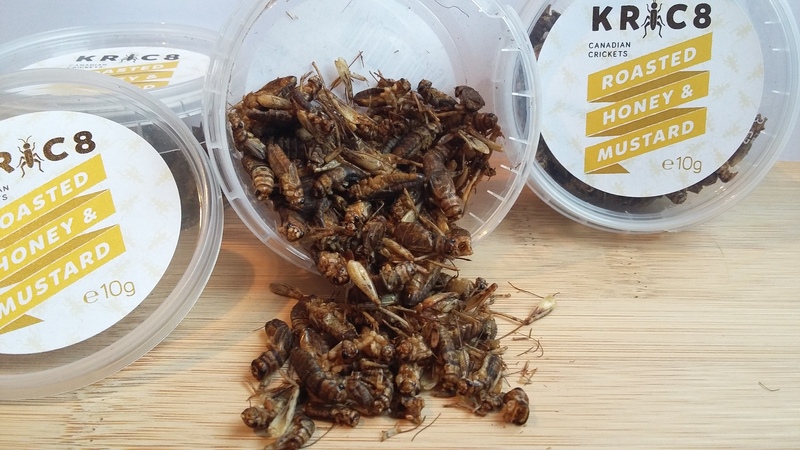 Connoisseurs of edible insects say more and more people are coming to like such dishes, which represent an untapped source of environmentally sustainable protein. And the industry is getting organized to push for further consumer — and government — acceptance.